Welcome to the AFPKC job posting center! This service is designed to share pertinent career information with our audience of development professionals in the Greater Kansas City area. We feature all career position announcements for a minimum of 60 days on our AFPKC website. 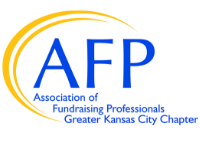 In addition, our bi-weekly AFPKC chapter newsletter features job postings. This newsletter reaches more than 2,500 fundraising and non-profit professionals in the Midwest who have self-identified as wanting to stay connected to our chapter and receive updates. Please send your position description, with application instructions in pdf format or a direct link to your own online job posting to jobs@afpkc.org with "Job Posting" in the subject line. You will receive a confirmation and invoice via e-mail once your position has been posted.